Awfully wicked persecution. May the attackers be brought to justice. 09/19/2018 Washington, D.C. (International Christian Concern) – International Christian Concern (ICC) learned that Faraz Badar, a 26-year-old Christian resident of Gujranwala, died in a Lahore hospital on September 15, 2018. 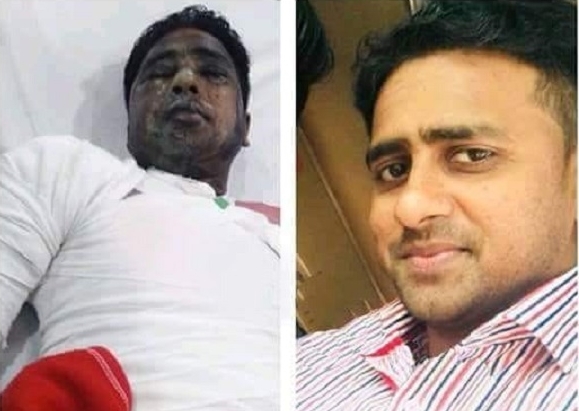 He succumbed to burn injuries that he received when unidentified attackers sprayed acid on him during the early hours of September 5, 2018 in Gujranwala. Faraz was brought to Meo Hospital in Lahore when his condition deteriorated. Badar Masih, Faraz’s father, informed ICC that “Faraz was a young graduate and serving as Assistant Admin Officer in a local hospital for about two years. On September 5 at around 2:00 a.m, when he was going home from the hospital some unknown assailants sprayed acid upon him.” This is not the first time Faraz has been attacked. “We [still] want justice from the government,” pleaded the mother. Masih’s family is not alone in their experience. In April, a Christian girl named Asma Yaqoob was attacked by a Rizwan, a Muslim man, for refusing his marriage proposal. She later died during treatment on April 22, 2018. ← Brave Chinese Church Leaders Declaration.